Growing up in my family, the first rule of money was this: We don’t talk about money. All I ever knew is that we had more than enough. While my parents did encourage me to work both around the house and at part-time jobs, there wasn’t a whole lot of guidance when it came to learning how to save or control my spending. As a result, my own journey to financial peace has been full of giant mistakes and more than a little heartache along the way. I certainly don’t blame my parents—I take full responsibility for my own stupidity—but I can’t help but wonder if I would’ve made better choices had I learned earlier all the things that I know now. In any case, I am bound and determined to help my kids avoid the mistakes I made. I want them to grow up confident and secure, and to understand exactly how money works and they can make it work for them. It is a tall order—after all, they are only 4 and 7—but I believe in my heart of hearts that it not only can be done, but that it is one of the most important things I will ever teach them. It is pretty scary to realize that most kids these days—and even many parents—don’t understand this very basic concept. Dave and Rachel recommend setting up a commission system—where kids get paid for the work that they do—rather than offering them a weekly allowance. That commission then gets split into 3 separate envelopes—one to spend, one to save, and one to give. We have set this up in my house, and let me just tell you, it works! The closer it gets to payday, the more enthusiastic my girls become about helping out around the house. They absolutely love filling the check marks in their chore chart, (we use the ones in this Financial Peace Jr. set) then counting up their money at the end of the week. Our payday happens on Sunday night so they have all weekend to boost their payout. Their chores and pay scale are based on their age—7-year-old Maggie has a few harder tasks that can earn more money, while 4-year-old Annie simply earns a quarter per checkmark. Teaching kids that actions have consequences is a lesson that goes far beyond money. It is so hard to let your kids fail sometimes! Both my husband and I have a really hard time with this, especially when it comes to money. Rather than letting them make bad choices and then experience the consequence of that choice, we simply say, “no, you can’t buy that,” and all their money stays in the bank. After reading Smart Money, Smart Kids, I realized that we do need to let them experience the process of spending the money that they earn so that they can also learn that when it is gone, it is gone. We live in a world of instant gratification, one that is becoming more so all the time, and there are sadly far too many kids who grow up thinking that if they want it, they should have it right now. A few years ago, as the director of a large day spa, I saw this all too frequently with my entry-level front desk employees, who were mostly girls in their late teens and early 20s who thought working at a spa would be glamorous and easy. I can’t even tell you the number of times one would ask for a raise after just a week—or sometimes even a few days–of work. They had been so accustomed to being rewarded for nothing, they had no concept of delayed gratification. It was sad, and as an employer, extremely frustrating! Through their commission system, my own girls are slowly learning that it is okay to wait and save for the things they want. Right now they are each saving for a (ridiculously overpriced) Lego play set. $65.00 is a huge number when you are only earning $0.25 at a time, but they are both doing great. Each week they get a little closer to their goals, and each week they become a little more motivated to work harder. I’m pretty sure I will cry the day we finally get to go to Target with their jar full of money to pick out the toy they worked so hard for! Not long ago I was stopped in my tracks by one simple but life-changing question: What are you doing with God’s money? As a Christian, I believe that what I have is not my own. It is a responsibility I take seriously. I am called to be a good steward of the resources I’ve been given, and just importantly, I am called to teach my children to do the same. But in all honesty, this calling is not a burden. There is no greater joy than teaching my kids how to give! We do this in lots of different ways, especially at Christmas, and our favorite ways to give are with our time, not our money. Even so, it is important that my kids understand that they money they earn needs to be shared. Each week, at payday, they first put a portion aside to put in their give envelope. They get to decide how much they will give, and they also get to pick the recipient, since at this point we are far less concerned with who they give to than that they experience the joy of giving. I’m sure our giving plan will evolve and adapt as they get older, but it will always be an important part of their financial education. Right now our primary focus is teaching our kids the basic concept that money comes from work. Even so, by teaching them to divide their money each week into their spend, save, and give envelopes, we are also trying to set the foundation for learning how to budget their money. We want them to learn while they are very young that if you don’t tell your money where to go, it will go away. It is a concept I wish I would have learned much earlier in life! In today’s society, our instant gratification mentality has also transferred to our wallets, where we buy things we can’t afford with credit cards so that we can have them right now. Teaching my kids that credit is not the answer means that I have to be willing to live by this philosophy too. After all, if they see me buying whatever I want, regardless of my ability to pay, my warnings not to use a credit card won’t mean a whole lot, especially as they get older. Instead, our goal is to model for them a cash budget system, one where we save for the things we really want just like they do. As they get older, they will have to learn how to save for bigger things like college or their first car. While car payments and student loans have become the norm, they shouldn’t be. Kids today are graduating from college saddled with huge debts that in many cases could have been avoided with more planning and better choices. We are determined to not let our kids become a statistic by teaching them now that credit is not the answer. While all this other stuff is important, helping my kids learn to live with a spirit of contentment is by far the most important lesson I will ever teach them. A wise person once said that there are two ways to be rich—one is to have everything you want, and the other is to be satisfied with what you have. 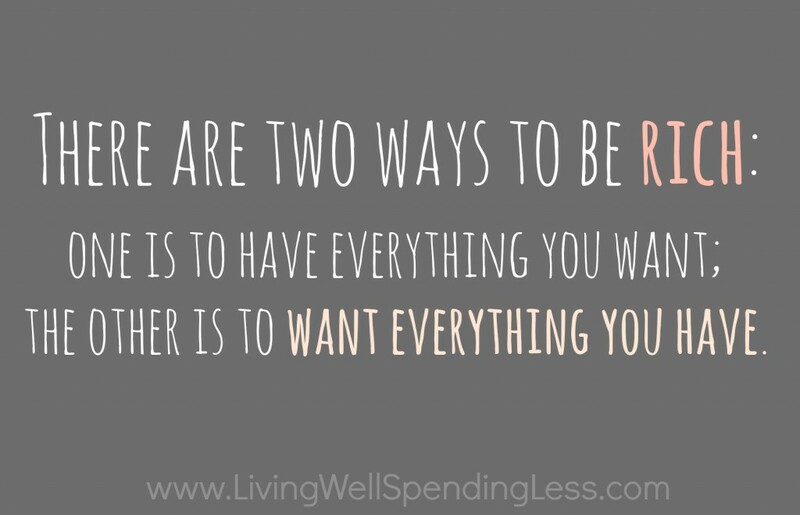 Choosing contentment is a daily battle and a choice I have to make right alongside my kids. It means choosing to count our blessings rather than focus on what we don’t have. It means remembering to say thank-you, and to stop comparing. And it never, ever ends. The giveaway is now closed and the winners have been notified; thank you to everyone who participated! The way I teach my son about money is to show him that it is important to find an alternative to full price retail. When he has some birthday or Christmas money to spend, he sees that it can only go so far at the toy store. He usually comes with me to garage sales and flea markets and sees how much further his money goes there. When it comes to getting school clothes he knows that if we didn’t already find things at garage sales, that at the store the choices will only be from the clearance or sales racks. If I’m being honest, we haven’t done a very good job in this department. This is why winning this giveaway would be a blessing for our family. We have taught them that if they really want something and it is not a birthday or Christmas they must use their own money. I’m motivated to start teaching them better habits! Thanks. Right now our girls are in school, and we believe that is their most important job, and so they get paid $10 for every “A” they get on their report card. Because we want to teach them that the world rewards not when it’s good enough, but on a job well done. Oh man! This was a great post – you nailed SO many things! I haven’t had long to put teaching money stuff to my toddler, but I can already tell that it will be a challenge. 🙂 Thanks for the post and the giveaway! My daughter earns pocket money for doing chores around the home. She is not made to do the jobs however she only gets paid if she does the chores. She then gets to spend some & save the rest. I really like the idea of 3 envelopes so will adopt this from now on. Trying to teach my young adult that you cannot spend every dime you have, you have to save for the unexpected. We teach our children about money by helping them divide their allowance into give (tithe), save, spend categories. If there is an item they want that is not considered a necessity they much wait until their spend category has enough to cover the item. Our family has been blessed to travel to some amazing places. I try to encourage the kids to give back in some way when we travel so they don’t just take everything we are getting to do for granted. We look for opportunities to volunteer, take small gifts for a school or children we may meet, or any other thing we can do to serve others. Our daughter is only two, so the only things we have taught her so far is that Daddy goes to work so we can get money. I’m looking forward to getting Financial Peace Jr for her soon and to start having her earn her own money. I try to teach my girls to have a good work ethic from toddlerhood. I always have a few things they can do around the house for extra cash. I’m not always consistent, but I try! We honestly need to do a better job! My husband and I just started FPU and are excited about starting to teach the principles to our kids. We make them save their money for things they want and earn money by doing chores without whining- but we could so much more! Great post! We allow them to make bad choices with their money – especially my youngest. The oldest has already learned from his bad choices and become a saver! We have to tell him sometimes that it is OK to spend money that he has earned. Wow, this post is inspiring and filed with excellent principles! I teach my little ones that money is earned through hard work. Because their job right now is doing well at school, they can earn money for grades as well as the typical chores around the house. The way we teach our daughter about money is following Dave’s steps to financial freedom! We’ve been getting out of debt for over a year now (we paid off $21,000 our first year!) and we’ve made our 10 year old a part of that process. Sharing the idea that no, we can’t buy that, it’s not in the budget. We also use Dave’s commission sheet and she has been asking me to teach her how to do the laundry so she can add that chore! We are trying to be an example with our actions and by making the topic of money an open conversation. She wants horse riding lessons and after learning that it wouldn’t be able to happen because it’s expensive, she has made a list of ways she can earn enough money – I think that’s pretty smart! Congratulations on paying off $21,000 in one year!! Keep at it! We paused our debt reduction for 3 months until after the wedding. After that, we are going in with gazelle intensity! I totally believe in the concept of ‘it’s ok to wait’. My daughter is constantly telling me what she wants. I like to remind her that we don’t always get what we want, but if we are patient and save our money for it then we can go get that thing we want. It’s a good reminder for myself too! Among other things, my oldest helps me clip coupons! They’re a huge part of our grocery budget strategy and, even though he’s only 4, he’s starting to have a basic understanding of how they work. I’m hoping these conversations will help him learn how to calculate percentages eventually, too. My husband and I have done a great disservice to our kids by not teaching them to be financially responsible. I was never taught and have made every mistake that could be made so we live paycheck to paycheck with no savings and no retirement. It’s hard when they have grandparents who buy them anything they want. We have not worked with them much but it’s been on my heart to start teaching them. I want to teach my boys (and remind myself) about delayed gratification! Very difficult to do in our instant world. Wonderful post! Once my kiddies earn money through work and great grades, the money is split into tithes, saving, and spending. 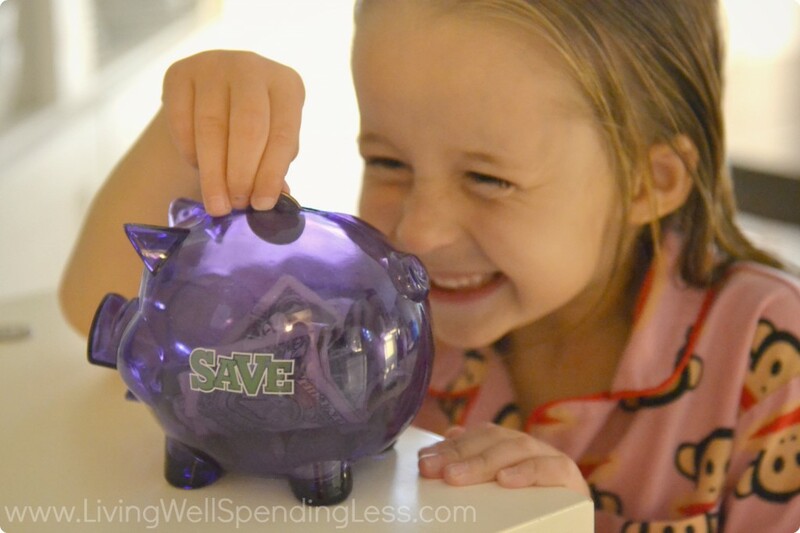 We are currently in a Savings Race and one of our goals was to teach our kids about money. We pay them a commission based on what they do during the week. They have 3 envelopes – Give, Save and Spend. They now have more money saved than ever before. We are right at the $30,000 financial improvement mark and have paid off 14 credit cards since we started 8 months ago. -The kids are watching us and we know that they will have a better future because of it. Congratulations on the debt payoff!!! Keep at it!! It will be so worth it in the end! We’ve been doing something similar in our house with the money my girls make. One thing we try to do is take them to the bank regularly to deposit, so they actually get an idea what to do at the bank. This was such a great post. Love teaching my girls about money. I struggled with what chores are ones you should do just because it is part of being part of a family and what my daughter should be paid to do. I do teach her about budgeting as I do my budget every month. As we are just starting our sons first chore chart, I think the idea of paying a set amout per chore completed is a great idea. There is no better time to start. Thanks for the great reminder that as adults we also need to walk with them and model these strategies, not to just spend freely and expect our kids to do differently. My kids have a chore list that they have to complete by Sunday in order to get paid! I’ve been looking for the right tools to help teach my children about money management. This sounds perfect! I do try to teach them to save for what they want & to earn by selling or trading in things they no longer need, but there’s so much more to teach! Looking forward to this book. We gave up doing a weekly allowance some time ago and now offer chances for our kids to earn money by working around the house based on their ability level. We talk about their goals-what they hope to do with the money they earn. 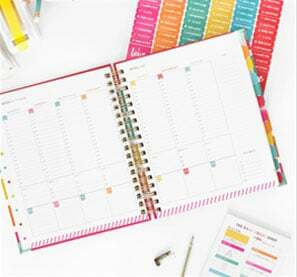 We also talk about our day to day finances with them (on a simplified level) so they can start to be more aware that money is not just for things we want and want to do, but that there are costs for basic daily living as well. We teach our kids the importance of earning money spending wisely and saving long term. Mmmm what a great topic and one I have not really thought about. Sure our kids receive pocket money and they save and spend some. This is great I will have to work this into our daily routine. The book sounds great. Thanks for the tips they are great. We teach out kids that when they want something they have to work for it to earn it and the value of shopping around for the best price. I teach her that everyone has a different amount of money. To get more you have to find what you love and work at making that your job. One time my kid was really wanting yet anothet hot wheel car and he insisted so much that I asked him if that’s a real problem. He said yes. I told him, you know, I’m gonna show you a real problem. And I showed him pictures of African kids who were starving. He asked a lot of questions, and was very empathetic. Then, he proceded to want to help them with his stash of coins. There are learning oprtunities everywhere. My sons are only 3 and 8 months, but we’re already striving to lay the foundation. My oldest earns money through simple chores each week, and any toy he wants must be purchased from that (once we set aside his tithe). He helps me coupon and meal plan, and he’s become quite the toy haggler at yard sales (no one can say no to a 3-year-old trying to get a better deal!). We’re still working on the concepts of saving up vs instant gratification, but he’s only 3 so a lot of that is developmental. At least we’re hopefully sowing the seeds! My daughter is only six months so I haven’t been able to do much yet to teach her about money. I just hope at this point that she is learning from example. We work hard for our money and can feel good accepting our paychecks on payday. My overall goal with my daughter and our future children is to have discussions about money. My parents weren’t the most financially savy people so I hope that we can help our children manage their money responsibly. We teach our kids that they don’t need the newest item on the market if what they have still works. Buy now, pay later so you can have it all is a big lie. With teenagers, I am looking forward to a book geared toward what else I can teach my kids. Spend. She divides her allowance into these three. We just don’t have clear directions on her allowance. She’s 10, so she gets 5 a month for keeling her room tidy and helping out when asked, like emptying the dishwasher etc. However, my 5 year old son I’m not sure what to do with. It’s also tough with a spouse who wants to buy the kids stuff all the time and I want to teach them to wait. I can’t wait to read this book. TMM really helped me! This was a great read! I want to take Dave’s FP class and this is great for kids! Honestly, I haven’t taught them much about money, but this post has inspired me to start! Thank you!!! My husband and I read Dave’s FP books and are on baby step 2. Our kids have spend, save and give jars. We talk about budgets and Dave’s teachings. The kids hear him on the radio and know Dave’s voice. I’m hoping the new book will help us keep the kids on the right track. I recently finished a financial peace class and have been using what I learned to help my teenagers learn more about their money. We worked hard to get our first ever emergency fund. Began on the snowball and an expensive emergency came up. We will celebrated that for the first time we had the money to cover it. No more expensive loans or credit cards were used to fix the situation. Not having any children of my own you would think that I can’t do this task, but I definitely do! My nieces and nephews are very important to me and I do several things with them. They always left me know their grades since they get a small stipend for them, they also get small tokens of reward when I catch them don’t something for others or hear about it from theirs parents, I also use time spent with them to try and show them that I have to work for what I get too. We love doing this together and we have made it more of a fun thing to do instead of a challenge. My sisters have been rewarding them for their hard work too so this is helping them in more ways than one. We’ll right now son is only 19 months old , so I haven’t started teaching him about money . But growing up I was never taught how to manage my money and as a new mom I would love to teach my son the value of money and hoe to use it the right way ! 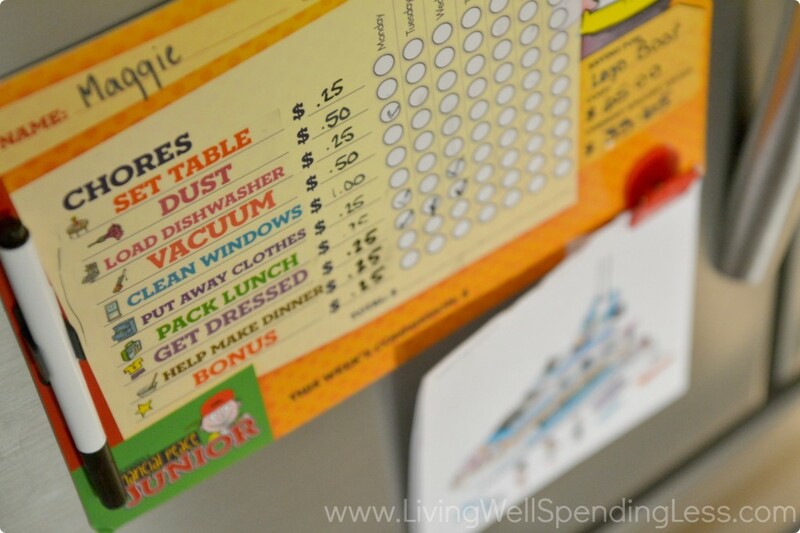 This is great and a great way to teach kids, I teach my kids that they earn by doing chores. they don’t do them they don’t get paid. the money they earn from chores is theirs to save, spend or do what they want with, sometimes it’s a special thing at school they want a pencil out of the pencil machine, etc. Since we give as a family in our own way we don’t make them give their money, they understand what giving is. The one thing I disaagree with is the part of teenagers. As a parent you should be providing for your childs basic needs, including clothes, shoes, books, school activities and food. I don’t see why a teen should budget for these items. They should budget for the items parents are not buying instead of buying their own basic needs. As a teen as soon as I started working my parents started to tell me I had to buy all my own clothes, shoes etc. That they couldn’t afford it. Those are basic needs. I will always make sure to provide that and not make my kids buy it themselves. I agree with you in part. As a parent, you should be providing for your child’s basic needs. But teenagers often choose to spend more on clothes, books, activities, and food. For example, if you set a $100 budget for back to school clothes, and they wanted to buy $50 jeans, then they need to take that into consideration and plan for additional clothes spending if necessary. They shouldn’t be responsible for these items in whole, but if they choose to go above your budget, then then need to pay for it. In our home, our children are expected to do their chores twice/week. These are chores they are expected to do as members of our family and are not paid for them. However they can earn money by doing extra chores, and I have a chart in their room that lists how much each extra chore is worth. If they want to buy something, they need to pay for it themselves. Great post! Thanks! We have tried several things with our 4 year old and I haven’t found a solution that works well for our family. We need help! What awesome advice to start children out on the right road to financial success! My boys are two and 8 months, so currently I just teach my oldest that we don’t need everything that looks shiny at the store. I hope this prize will help me know what steps to take next! My favorite thing is paying them based on their grades. If you get an A you get x amount, if get a B you get y amount. It definitely teaches them that they have to work for it. I, like you, wish I had learned financial literacy at a young age. I find myself still making big financial mistakes, but we stress trying to end the cycle with our son. We practice the “attitude of gratitude” method as well to prevent the generational feelings of instant gratification. It is a constant struggle to be disciplined. We are not where we want to be, but we are slowly heading in the right direction. We make sure to talk to our kids (4 and 2) about money whenever it comes up naturally. We don’t avoid the topic or talk about it in code or with make-believe, overly-simplistic language. If my kids ask me what I’m doing while I’m working on our Mint budget or paying bills, I tell them. I explain to them what a budget is and what bills are in a straightforward way they can understand. We pay our kids to do well in school. I know this isn’t what many people do, but we do. Adults go to work and get paid for it. Adults also have to clean their house for “free”. No one else will do it. With this, it’s my kids’ job to go to school and do well. When they do well at their job, they earn $$. They do chores around the house for free. They are not going to get paid to clean their own house when they grow up. This works for us. We are trying to do things right along these lines! 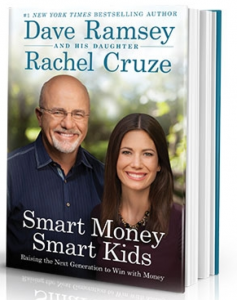 I’m a big fan of Dave Ramsey and my kids are similar in age as yours, so I see I need to get on the ball! We are just starting Financial Peace Jr with our 5 year olds! I am so excited to start this journey with them! We teach our kids how to save money by saving used at garage sales– and never using credit cards! Just cause we want somethin doesn mean we get it! We recently went in holidays and each kid had a set amiun t of spending money for souvenirs. when the money was gone it was gone. Our 6 yr old has save spend and give envelopes. She earns money doing chores. We teach them to divide their money as soon as they get it…save, spend and tithe. We are just now starting to give our kids small chores (they are 3) and so we have been talking about how to teach them about money better than we were taught. I love this idea!! I coupon, so it is a big help in showing my child how to save, and when you wait to buy something, sometimes you can get it for less, which means more a lot of the time!! We are teaching our kids to save for their very first big ticket item this year and working on doing chores to earn money. We have our kids start saving money for Christmas…etc. They must learn to budget their money and not overspend during the holidays on their gifts to each other, friends, and family. Now that they understand how fast it all can add up they have taken to making gifts or buying local for gifts that are more personal. We do the same for vacations…they must earn their souvenir money prior to the trip by doing chores. What they earn is simply what they have to spend. We have started teaching our 3 year old that she has to “work” to get money. Also, she will take her spending money with her if we go shopping and has to use her own money if she wants a treat. Our boys are two but we plan to start by having them earn money to put in their banks by completing small chores. My little is 7 years old and at her age, we let her understand that money comes from work and not all things she want can be bought if its not a necessity. We also have a piggy bank (although so traditional) to keep some of her savings. We open savings accounts when our kids turn 5. Each birthday and Christmas we have them save half & half is theirs to spend. But, honestly, we’ve been sorely lacking with actually consistently teaching them about money. To be honest we really haven’t done that much other than just explaining to them when we cannot afford to get something that it is because we do not have cash for it. I am motivated though through this article to start teaching them saving, tithing, etc. Thank you for this article! My daughter just turned 4, and we gave her a brief talk about $- spend/ save/ give. Now she gets a weekly allowance and we help her sort it into the 3 categories. She’s also done a responsibility chart in the past to teach her about “working,” but honestly I don’t know whether I should tie that in to the allowance or not. I would LOVE to win this for our family! My parents were also pretty secretive about money when I was growing up. I definitely want to better prepare my kids, so we have many open discussions about money. We are also trying to teach them to search for bargains, and that it is ok to wear hand me downs or thrift store finds! My daughter Anna is four. I admit, I realized recently, that I did not start teaching her about money and its value early enough. She started saying things like, “just use your card, Mom!” or “do we have a gift card for that?” when I would tell her that we did not have the money to pay for something. She also simply states that “all you need to do is go to a bank, Mommy.” So before I started to teach her about money, I really thought about the values of money and saving; and money and giving; and money and affection. I made a list of what messages I did not want Anna to learn. Some examples: I decided that I never want her to feel any guilt about money or feel that not having something bought for her is tied to her worth. I do not want her to equate gifts to affection. I do not want her to ever be afraid to use money to purchase something she really cares about. I also do not want her to choose security and greed over charity and sharing. Most of the lessons are taught over time–role modeled and practiced. Some lessons will not come until she is more mature in her ability to have abstract thought. But I started teaching her about 3 months ago through play…letting her interact with money and numbers. We play store with her favorite things, which right now are American Girl Dolls, books and Easter eggs. So we use money and math and to problems solve and and make choices all in play. “I have $10.00 today, Ma’am,” she says. And then as the clerk I show her all the options in her ‘bedroom boutique’ of what she can purchase. Using a play credit card is never an option. I have also talked to her about time. Why her Daddy and I go to work everyday. The hours she is with a sitter equal money that we have to buy things. So now she sometimes asks, “How many hours do you have to be away from me at work to buy me this doll?” She has actually stated that me being home more would be way better than getting everything she wants!!! That was a great Mom moment. My kids are grown and unfortunately i failed to teach them as much i should have. Winning this kit would be beneficial for them as well as my grandkids. I teach them that they can’t buy things at the store if they don’t have money. So far it’s worked, but they are still young. Would be great to have more resources to teach them about how to handle money. We have our son earn his money by doing chores. Even for items as small as a new app for his Kindle Fire we let him know that the $2 and $3 items add up over time and he will need to earn money to buy these. He realizes now that it is not only the big purchases that can get costly but the smaller ones (that he wants more often) can get costly as well! Our girls are 3 but they have a chore chart to earn small amounts and then use a save, spend, give bank to put it into. We are just starting with chore charts! Can’t wait to read this book. We have issues with overindulgent grandparents. My young kids know they can go straight to grandma for anything despite our repeated complaints. Any toy that is mistreated and damaged is quickly replaced. I am definitely pinning this post for future use! My daughter recently turned one so I won’t need this for a little while still. I really want to keep this in mind for when she’s a little older. Great article! Don’t let others lives lead your contentment and is it a want or a need. Growing up I was not taught financial responsibility and have made huge mistakes in my past. I want to teach my daughter, who is 3, to be responsible with her money as she gets older. I’ve seen my siblings struggle with teaching their children how to manage money so I would definitely share this with them! One thing that we have been working on with our daughters are the save, spend, and give jars. They work fantastic for our 4 year old and her commissions! My four year old is working very hard to save for a Leap Pad 2. This will be her first purchase and she is very motivated to help out around the house to earn more money! I would love to win this package to help myself and myself teach our children more about money! One way I teach my kids about money is BUDGET! Once you make a budget you feel more freedom. The budget becomes the boss of you. This would be an AMAZING package and to have in my home to help me and my family! We make the children wait for items they want. They first they have to save for it, but we also make them research what they want, to make sure they are really getting what they think they are. Once they have saved, researched, and decided, they then have to wait 1 week before making the purchase. By the end of the week if it is something they still want, they may purchase it…. often they decide that they want something different and the process begins again. How hard it is to teach them when I am still figuring it out myself!! But they are learning they have to work for it and the importance of tithing and saving! Right now, my kids are really little, but you have inspired me to start doing more about teaching financial literacy to my 4-year-old. We talk about it a lot – mostly how mommy and daddy work hard so that we have enough money to buy food and a house. And I am also striving to teach about contentment… appreciating what they have versus asking to buy something new at the store. (we never buy new things on a whim…wish I could say the same about grandparents! 🙂 ) I can’t wait to read this new book!! wonderful to receive Dave Ramsey’s book to implement his great ideas. We have a toddler and preschooler, but we try to teach by example and work for money, and most importantly, that these are gifts from God that we have to take care of. As they get older, we will introduce more concepts keeping God at the center. I have recently been introduced to Dave Ramsey, and can’t wait to hear more about his strategies. Thanks for this awesome post! Unfortunately, the one way we teach our children about money is, “Learn from our mistakes!! !” My husband and I married when we were 29 and 19. Our daughter was 7 months and his older children were 3 and 6. Here we are almost 13 years later with 2 masters degrees, a home, 2 very nice vehicles, memories from a few great vacations, and more debt that I would like to mention. (Anyone else going to have their mortgage paid off before student loans???) There have been times we felt “on top of things”, but that is mostly when we are both on anti-anxiety meds and not really paying attention to the finances (enter embarrassed face here!). We have recently completed baby step 1, and I cannot tell you HOW hard it has been to not just dip into that $1,000 and go back to “normal”. I think a common aspiration of parents is to give our children things we never had. I want to give my children the knowledge to NOT follow in our footsteps. Our oldest has recently moved in with her boyfriend, and I would use this super amazing giveaway to change HER family tree. I know it’s never too late to fix our problems, but I would love to give her the opportunity to never be in our situation. Our son is about to be 16 and is working around the house and learning job skills so that he will be able to afford a decent (by 1st time vehicles standards) car when he is ready. Our youngest daughter, 12, has an inherent desire to both earn and save, and most of her spending money is spent on making blessing bags for the homeless. She is truly an angel, and I want to use this giveaway to guide her and put her God-given spirit and talents to use in ways that I alone could never inspire her to do. Thank you for your blog!! It is so encouraging to know that there are resources out there, and I don’t have to stumble along this journey trying to figure it out on my own!!! We are a family of 7. My husband and I and 5 kids ages 13, 11, 9, 3, and 1. We have taught our kids about responsibility and working honest and hard. We have also taught them to look for things on sale,or clearance or even buy used to make your money go further. And to also decide wants and needs. They have two different types of chores around the house, ones that are excepted to do since everyone has to help around the house, and other type are chores they will earn money for like how adults work and make money. We have included the commission system at my home. My daughter gets money only for work done. I think she grasps the relationship between money and work, but we need help with understanding the other aspects. We started teaching my oldest son about money by first setting the example. We also use Dave Ramsey’s JR books. My son was motivated by one of those books, that he wanted to open up a savings account to save for a car. I am very proud of him. That was a big goal for a 9 year old to decide on his own. Currently, we purchase the ‘necessary’ items. She must work and save for ‘wants’ (like CD, etc). As she gets older she will have to work for some of the necessary items as well. Great post! Not too many people are talking about money with their kids, my parents included which is probably a huge reason why this country is in the financial trouble that it is in. You have to teach your kids that they have to work for their money, they have to do their share around the house just like everyone else. I also like teaching them that credit is not an option. We just started Dave Ramsey’s financial peace university and I don’t want my kids to go through all the trouble we have been through because they weren’t taught early on about money. Thank you for the amazing giveaway Ruth! And by the way, I think this is the first time I hear you say your daughters names?! We always try to find the best price for everything. When at the store we try to get the best deal of what we are getting. Would love more suggestions, though and would love to win this. We use cash as much as possible to model to the children how much things cost and how much we have left. They receive £1 a weEk pocket money (we live in the UK) and have to save half of this to spend on our yearly vacation. They understand that they have a budget for birthdays and Christmas, and even at the ages, of 5 and 7 are able to work out y would like vs how much they can spend. When we have a grand sort out (big house tidy up) they choose which items to give to charity, understanding that their sacrifice may help someone else. Hopefully this will all help them longer term. We have tried to teach our children the value of money, the importance of giving, and the significance of working to earn money for purchases. My husband and I are trying to educate our daughter about the value of money, which our own parents never discussed with us. This can be difficult with a tween who’s constantly subjected to marketing. Would love to read this book. I definitely let my child know that money is tight and if we don’t have money to buy to do something, that is just the way it is. She will help me with couponing and grocery shopping. I refuse to buy anything on credit (I don’t even have a credit card any more) and she understands that if there is no money, we can’t have it. We gave our daughter an allowance and she was supposed to tithe 10%, save 10 to 20% this included long term savings and for something special that she was saving up for and the rest was used for her wants and needs. We started this at a very young age and she is still following it as an adult. Three clear glass jars marked give, save and spend. Use coins to easily split commission among the three jars. My 11 year old son gets a weekly allowance of which 10% goes in the bank and 10% goes to his tithe. We have not bought toys for him since he started receiving an allowance at 5 years old except for birthdays and holidays. He purchases all of his video games, Legos and other “want” items with his own money. For large ticket items we will match funds. He knows that borrowing money is out of the question because “the borrower is servant to the lender.” Dave Ramsey is quoted frequently in our house and my son knows that if you don’t work, you don’t eat! My son is only a toddler right now, but I hope to teach him how to tithe, save money, be content, and have a giving spirit. It’s just another way to let them have fun, while teaching them at the same time and they don’t necessarily realize it’s helping in their day-t0-day decisions. I’m looking forward to Dave’s new book coming out and teaching my daughter additional lessons from a pro! We have a spend, a save, and a give jar for their money. When my son receives money he must give & save a portion of the total amount. The remainder is his to spend. We talk to our 4 year old about how hard work can result in money, which then allows us more freedom. Freedom to choose between X cereal and Y cereal. And how saving money (by using coupons, sales, recycling, etc), is an alternative way to get more freedom of choice. We teach them to tithe 10%, as we do. And to save 10%, at least. I don’t think I did a good job, because I see my kids doing the same things I did. Over spend, credit card, not waiting until you have ALL the money saved. I think this Smart Money, Smart Kids would be a good gift for the grandkids so we can stop this wheel of stress before it destroys another generation of our kids. We talk frequently about how much things cost and we don’t just buy everything we want. Sometimes we have to “wait until we get paid and when it’s gone, it’s gone.” We talk about mommy and daddy working hard and doing a good job and that’s how we make money. Trying to connect working hard with earning. Piggy Banks! They are 6 & 4 right now…they get $5 each from two of their grandparents for every single holiday. They open their cards, and literally head straight up the stairs and put the money in their pigs. Then when we are going to the mall they get to take some money with them ($10 at most) and then we discuss every item they tell me they want to buy. We talk about how much money they have, whether it’s enough to buy what they want and they are not allowed to ask for more money or borrow anything. This was especially handy when we went on vacation. We were there for four days and we told them they could look around and pick one item to get (with a limit). However, they had to wait until the last day to get to make sure they saw everything and made a good choice. Strangely enough, they both picked items on the first day and stuck to their choice to the very end! We were certain they would change their mind a dozen times throughout the trip, but they didn’t! I teach my kids to not make the same mistakes that we made and to always save for a rainy day…..
One way I have begun teaching my kids (4 & 7) about money is with a Task List. They get a penny if they do each daily expected task when I ask, in a reasonable timeframe, and with a good attitude, and if they complete all of their morning tasks before 9 am when our homeschool starts, they can get a quarter bonus. It’s better than the m & m system, they like earning some money, and it’s a good incentive to budget their TIME well, in order to earn the .25 bonus. They can continue to earn pennies throughout the day for completing other daily, routine tasks. Our kids are 4 and 5 so right now we are focusing on saving money and teaching them you get money by going to work. We want them to know Mommy and Daddy work so we have our needs met. Thank you for the giveaway! I can always remember my grandpa saying a penny saved is a penny earned, and I try to pass that on to the girls. With the older girls I talk about how much things costs, let them go shopping with me, and show them how much I save using coupons or waiting until somethings on Sale, instead of paying full price. I really want to start a chore chart and commission with my youngest now, and teach her about savings, tithing, and spending. This would be a great way to get started with that, unfortunately I did not do a good job in that area when my older girls were young. My kids only get their allowance when they complete their chores. Thanks for the great post! We encourage our older kids to save their money to buy the toys and electronics that they want. They feel so proud when they are able to go to the store and purchase the items themselves. We also try to remind them that less is more…a difficult concept for all of us! Our granddaughter has multiple piggy banks that she feeds the pigs. We started when she was just weeks old teaching her to feed the pig. We teach that you can’t buy everything you want because it cost money. My kids earn money by picking up after the dogs in the backyard. They also receive cash from some of our family for birthdays. They may spend their money however they wish. My youngest refuses to spend her tooth money though. :). The teaching part is that we don’t buy them toys (except for birthday and Christmas); if they want something then they use their own money. 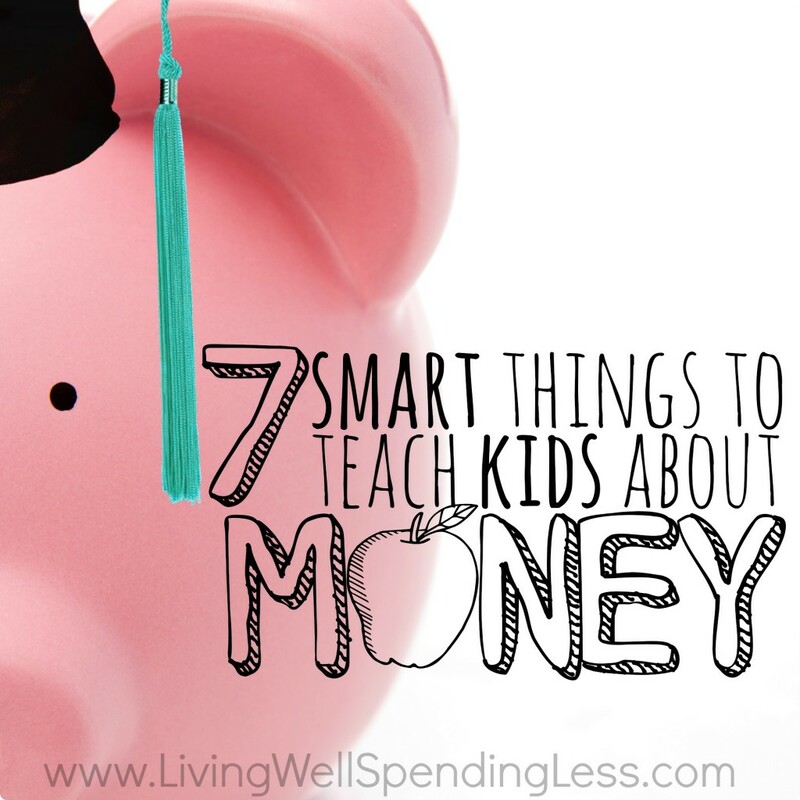 We are just learning how to talk to our kids about money, because we’re learning about it too! I just finished Dave’s Financial Peace University and am working on Baby Step #2. One of the ways we’re teaching our kids about money is to use the spend/save/give method and to pay them “interest” on any money saved. I am looking forward to reading this book to learn about the chores system — looks like it would work great in our house! Our kids have jobs that they can earn commission, but they also have to do chores because they live in our house (that’s real life). We live on a farm and I think that really helps them make the connection between hard work and enjoying what you do while providing for food and other necessities. We are teaching the girls that there is work that is required to maintain a house – such as picking up and doing laundry, cleaning bathrooms, dishes, etc. Then we have a list of jobs that they can do where they earn minimum wage doing – vacuuming other parts of the house, washing windows, helping with extra yard work, etc. We know how much time it should take to do the job, and the job needs to be completed within that time frame and done to our satisfaction before they get their money. If it is not done to our satisfaction, they have to redo it, but they don’t get any more money. Out of their earnings they have to put 10% towards some sort of charity and 25% into savings. I am starting to teach my toddler by taking her shopping with me and having her help me count change. We have a chart with cards which activity is needs to be done on which day. A child take the slip and does the activity then gets the dollar amount on the card. If an activity does not get done volutarily we assign it out at the end of the day. They are saving for a new game system, an Xbox. We are refusing to buy it out right for them, they need to work for it themselves and save their money. We use the Goodie Goodie app on iPhone. It list each child’s chore and for each chore completed they get a certain amount of points. I set a monetary amount to give for each point. Honestly, we aren’t doing very well in this category. Our kids are given way too much and not responsible for “getting” it. I’d love an opportunity to try a new program. Thank you for the opportunity! We pay them for their work and then when they want to purchase something we had not planned on (like a new backpack or another pair of shoes) they can pay from their own funds. This is working well with our 6 and 10 year old children. Just wish I had learned those principles earlier! Our oldest (age 11) is a good saver, even when he’s not saving for something specific. When he sees something that he wants to buy at the store, instead of buying it that same day, we have him make a note of it and buy it the next time we go. This helps with the delay of gratification, as well as learning that sometimes you don’t really want (or “need”) that thing if you have some time to think about it. Give your children their allowance at the beginning of the week for the previous week’s chores/duties/homework. It’s their money to do with as they will during the week. At the end of the week, pay them “interest” on anything they’ve saved. They’ll quickly learn the value of saving as, over time, they begin receiving “interest” on previously accrued “interest earnings”. My son is 2. It is so time to start thinking about all these things. We dont’ do allowance but pay our kids for jobs they do, especially when they do them without being asked. But, I like the idea of this system better! Honestly, I’m still looking for a good system to teach my 8 year old son about money. We’ve tried a few things here and there but never stuck with anything. We could really use some Dave Ramsey advice I guess! Our children are young (5 & 4) but we’ve been doing chores that they do that are worth 1 cent & behavior tickets worth $1. They are rewarded each week and their monetary rewards are placed in a jar and after a month we split the total between 3 places; savings, spend, & charity. They are learning to save their money for that big toy they want. My daughter’s only a year and a half, so we haven’t put anything in practice. But I plan to have two sets of chores: one because you’re part of the family and one to earn money. I love the idea of having a chart for her to track progress toward a goal. I am days away from my first daughter and as a banker I am very excited to help tach my daughter about finances as a way of life… not a trend, not a fad but smart ways to make your money work for you, the value of a dollar and what it takes to earn that money. I wish I knew half of what I know now growing up and consider it my privilage and responceability to teach my daughter. I have many things planned a few of which you covered but one thing you didnt is investments and the importance of building and maintaing good credit. I grew up in a “credit cards are bad” family and it has lead to problems having NO credit my whole life… the world is changing, credit is no longer a choice… teaching our youth how to use it correctly is something we should all make a priority. Our daughter is only 4, so right now we are only implementing the savings aspect of money. She has her own piggy banks and a bank account (she doesn’t fully understand this one yet). She does know that she doesn’t get everything she may want each time we go to the store. She knows we follow our list and really think about the items we purchase. This year, we are working on teaching her the value of her money so that she can count out the coins/bills she needs to purchase an item she wants or save up for an item she wants. As far as practicing donating our money to others, we are giving/donating items in our house, toys, clothes, etc that we are no longer using. We also like to send the yearly gift for Operation Christmas Child. She is understanding about sharing and giving when she is no longer using something. We will expand that to the monetary sense in the future. We would love to learn how David worked with his daughter in setting her up for a good financial future. Thank you for setting up the raffle. I have one son in high school, but the other 3 are 20+ and on their own. I had one who spent every dime he could get his hands on growing up; it wasn’t until he was about 22 that he figured out about delayed gratification and the necessity of saving for a rainy day (he withstood quite a number of them before he finally got it). When he realized we weren’t going to bail him out of his troubles but that he’d have to face them head-on he began to understand the purposes of money. My second son saved every dime he got, so much so that he’s a 24-year-old miser and seems to thrive on hoarding money. I had to teach him that it’s ok to spend money, which seems like a strange situation, but he does have a wonderful nest egg so that he can buy a house soon. The 3rd and 4th sons both have seen how their older brothers struggled with concepts of money and do well with it. While they were growing up, our solution to allowance was $1.00 per year age they were (7 year old would get $7.00) on daddy’s payday. We felt this would be enough to buy something from the dollar store occasionally but would also mean they’d have to practice saving too. We certainly weren’t perfect with money, but I did try hard to give my children a better introduction to it than what I had growing up. We are trying to teach our children to be good stewards of the money God gives them. There are basic chores that our two oldest do (6 & 3) as a way of pitching in.l Then they have chores where they can earn money. They also have their money divided between saving, tithing, and spending. Currently, my oldest is saving for a dog! Our son has just started to receive an allowance and it’s been rewarding for us to see him value money more and understand saving and how long it takes to earn something! I just received Dave Ramsey’s book from the library and I am planning on reading through it this weekend. I know we have a lot to learn. My husband and I are trying to teach our young children the value of work, both in money and self determination. We want them to feel that a hard day of work, well done, is just as valuable or more so than it’s monetary counterpart. Along with that is the gratitude attitude and desire to serve others. Thank you! I love listening to the Dave Ramsey show! I always had my son do thre envelopes for his money. Spend, save and give. We also talk honestly about money. If we can’t afford something, we say it. If it’s some thing worth saving for..we say let’s save our money for it. Thanks again…what a GREAT prize pack! We are honest about affects of debt and trying to get out of it. My 7 year old earns $7/week for 7 chores. Miss a chore, lose a dollar/chore. I’ve been having honest conversations with my 7yo about delayed gratification. It’s hard for him to understand sometimes because when he goes into a store he wants to buy everything. He also has a savings account so I make sure he goes with me to deposit money. By being honest, eg when we are doing the grocery shopping, they see me with my list and my calculator, and when we see things we want, I explain it is not on the list nor in the budget that week. My kids are still kind of young yet but I try to teach them about money buy shopping around first. No impulse buys. And if they do find something then they need to do chores to earn the money and save up. We use to have our kids help us fill our envelopes. They are now young adults with their own envelopes. We teach our girls that money comes from us working at our jobs. Recently started chores that they can earn money from completing. Also teaching that we need to save more than we spend. We teach our kids about money by talking about how much things cost and about the choices we are making when we buy things. Right now we are saving for a trip to Disneyland so when the girls want something we will talk about using out money for Disneyland instead of that item. I don’t like to say we can’t afford things; I would rather teach them that even if we have the money we are choosing to spend it a different way. I really love the save/give/spend type of piggy banks. Right now we are giving our 2 yr old change to put into a regular piggy bank when she does chores once a week. We are slowly starting to teach her about money, which is hard when we are just learning how to be smart with our own money. It’s a process, but our kids will come away better because we worked at it now. We are doing allowances and the kids have to buy their books, movies, toys, etc. with this. We have told our boys that a job well done is a job well paid.. Personally, I have a difficult time not chasing the carrot, so I am interested to see how they tackle this issue in the book. My daughter is only one so right now we just focus on establishing healthy money habits in our own lives. I teach kids in a poverty alleviation group and we recently did a simulation with a couple prize stations (pencils, bookmarks, suckers) and monopoly money. There was a station they could go to “work” to earn money. Our three main principles we focused on were: you work to earn money; when you spend money it’s gone; it’s good not to spend all the money you have (save). I love this post! It hit the nail on the head for a lot of problems I see in my generation (my husband and I are in our 20s with a little man under 2). I can’t tell you how many times I have gotten frustrated with my friends just buying or being given whatever they want without considering the reprecussions! We are just now beginning the process of teaching our kids about money. They are 6 and 4. We gave each of them 3 clear jars to use for their save/spend/give money. It’s a great way for them to visually see how much they are accumulating. Would love to win this prize pack!! My 4 year old has a small piggy bank where we teach her to save our loose change and the coins she finds outdoors! We are teaching our children that they can work to earn money but they can also work to help others. My girls are currently selling bracelets to earn money to buy backpacks and school supplies for children in Nicaragua so they can go to school. So depressed by our debt. Trying the snowball affect, but it isn’t going so hot. My daughter care more about the school store on Friday’s then her grades and doesn’t comprehend the the values I am trying to teach her. Glad to see and read about some curriculum that could help! We have spend, save, and share piggy banks that we are using with our kids to teach them about money, but I would love to use Dave’s program along with them! We recently set up a chore chart for our five-year-old. She gets a star for completing a chore–if she has all stars at the end of the week, she is paid a dollar. If she has any checks (which is what happens if a task is not completed) we subtract 25 cents per check. She also gets extra stars for doing extra chores around the house (especially if she does them without being asked)–the extra stars can cancel out the checks, or if she doesn’t have any checks, she gets paid extra money for the extra stars. So far it works great and she has been very motivated to complete her chart each week so she can earn her money. I teach my child about money through the envelope system. Paying cash and using coupons. She is 5 so I hope I continue to go deeper with teaching her about money. My kids want to hang out with Dad all the time but I constantly remind them Dad has to work to pay for their toy, clothes, and private school. If they want something frivolous (such as candy from the grocery aisle), I remind them that Dad will be away more often to pay for these small things. They love their school and do not want to leave so they are very mindful about what they ask to buy and try not to compare what they have to others. Truthfully, they do not ask for much and helping them correlate the idea of Dad working to make money to buy “stuff ” is creating thoughtful, responsible children. I want y children to learn that hard work and being satisfied with what we are given is better than anything that money can buy! I want them to be confident with their money and not afraid of it! I am a huge fan of Dave Ramsey’s books and courses! The principles DO work! My husband and I are expecting our first child, and we want to model and teach wise money management right from the start. These resources would be a great help in doing so! I wish we had this knowledge when our children were young. We share what we learn with our grand kids now. Best advice for us we share a savings, if electrics is under specific amount (depends on month) we share the savings. Summer in Texas we up the amount, but lights are turned off and stuff unplugged after use. While I haven’t had to teach my almost two year old son about money, I have had to teach his father a few things. Growing up in my house as a child, we were taught to work for what we wanted and to save for things. My mothers favorite thing to say to me when I asked for anything was, “not today.” Which became my motto on things I felt I wanted from clothes to house hold stuff. My husband on the other hand went through a credit card phase in college and racked up more debt than I could fathom. Helping him learn self control with money, even now almost 7 years out of college, has been a difficult challenge to retrain his “gotta have it now” mentality. I have taught him to check our account every day and to know where it is supposed to be going. I have caught many fraud attempts just by regularly checking my account online. I am thankful this post to give me pointers for my son’s future. I gave my children enough money to eat a bargain priced lunch each day at school and told them that could choose to spend it or keep it and make and take their lunch from home. I always had good stuff to make lunches with in our kitchen so taking a lunch wasn’t uninviting. Most of the time they saved the money and took a sack lunch to school. My husband owns his own business and the other day he took our 7 year old son to help at a job, mostly just handing him tools 🙂 he loved it. we have tried a few different things the past couple of years …I am motivated to try this approach! We use three jars for outbids to put their money in. One is for savings, the other is to spend and the other is to God. We want to be more intentional about money and I love your tips! I am definitely getting this book!! Thanks! I hope to teach my kids that it is possible to live a debt free life, and the importance of being willing to give freely to those in need. My son is three years old and doesn’t know about money yet. I’d like to win. I am being honest with my kids about our family situation. I tell them that we can’t buy something because we can’t afford it and/or it ‘s not in the budget. I show them the budget. That is something my parents and my husband ‘s parents never did and I wish they had! My husband and I just finished taking Financial Peace ourselves, so we got the 3 clear piggy banks for our 4 year old daughter and love them! She now looks forward to and asks to do laundry, take leaves & shred paper! She also picks up chore ideas from reading books and asked to wash the car last week. She understands “that making food and cleaning up dishes is being part of the family” – not something we get paid for. We encourage her to put some of her earnings into each of her piggy banks, but at this age, let her put however much she wants in each one. The result has been that she often splits it evenly in thirds. She was so proud to save up $5 and go buy a small doll toy at Target with her own money. While it was a cheap toy, it was a great learning experience! Our goal is to use our everyday opportunities as teaching moments. Give 10%to God and he always provides. My son is only 18 months old, but I have an idea for an allowance when he gets older: if he wants something that is more expensive than what he has saved, we can give him the rest but his next few allowances will be less than the standard amount so he understands the “cost of credit”. Our plan is to be 100% debt free by the time he is four, so debt freedom and the culture around it will be deeply engrained in his childhood! Thank you for this giveaway! My girls are taught to give the first percentage of their earnings to God, and have many times been delighted to find out he returns it with interest. We started giving a small weekly allowance and our daughter must pay for things herself. When they have a bookfair at school she’s given a small budget to shop with. One way I am teaching my children about money is by giving them extra jobs to do around our house and yard to allow them the opportunity earn extra money to save up for items they want or activities they would like to do. Our two boys hear us ‘preaching’ a lot about working hard, completing a task, and the importance of doing something right the first time. They have a chore chart that they earn ‘buttons’ for and earn money for completing various tasks based on their ages. I love the idea to have them separate their earned money, it is a valuable lesson to learn – the rest of the list is encouraging too! We’ve got a lot of kinks to work out in their money earning system but our consistency is the most important and that is still a work in progress. Our 6 year old earns 50 cents a week doing chores. She know that 5 cents goes in the offering every Sunday. She puts her money in her bank, and is trying to save up for a special toy she wants. We have struggled with this area as well. One thing that we allow our son to earn money with chores, good behavior, and good grades at school. I have learned that we now need to work on the 3 envelope system to make him have a giving envelope, saving envelope and spending envelope. Thank you for this helpful article. I love that you posted this! My husband and I just recently started looking into Dave Ramsey’s financial peace teachings. Our church is doing FPU at the end of this summer and I am really looking forward to attending those classes! I can’t say I’ve been smart with my money in the past, as a teen I decided that I would have time to save money when I was an adult. Boy, was I wrong. That is one thing I will be teaching my children for sure. They are only 4 and 1 right now, but I do teach the 4 year old that money comes from working and that we can’t always buy what we want if the money isn’t there, like the huge playground set he wanted yesterday. We talk about how we spend money, how to comparison shop, and encourage her to save for the items she wishes for. We also try to demonstrate restraint in our own lives. We have twin daughters who are almost 9 and my husband and I were JUST having a conversation about the need for more money education in our house. We’ve struggled a bit with what to do, but one way we’ve tried teaching them about money is by actually letting them spend it. We’ve tried to make them responsible for some purchases and allowing them to make mistakes with their money which can be hard to watch. My daughter is only 3 weeks old so she is too young to learn about money. As she gets older, I plan to model how to set up and live on a budget. My husband and I have paid off all debt except our house. Every month, there is an amount set aside for different things such as groceries, eating out, entertainment, etc. We started our marriage with a lot of debt and have learned how to budget our money. We only get $200 a month for groceries. I make it work by using coupons and going to sales. When we spend money, we decide where it is coming from in the budget before that amount of money gets spent. Now that we are buying diapers and other things we haven’t bought, I have had to lower the amount of entertainment and eating out budgets to allow the extra money to buy our daughter necessary supplies. As she gets older, she will help me clip coupons, learn about sales, go to yard sales, and see that mommy and daddy must live on a budget. When she is old enough to have a job, we want her to learn to budget money even at a young age. We will provide for all her basic needs, but want her to learn how to budget her money also. For example: she will have a certain amount of clothing money to spend on new clothes. If she is willing to get clothes at yard sales or from the sales racks at the store, she will have plenty of money for clothes. If she only wants the expensive brands, she won’t have enough money from us to get all new clothes. She will have to help pay for some if her new clothes. Our goal is that she will have a job, making her own budget, and living on that budget while giving money back to God each time she is paid and is giving money to help others before she leaves our home. Neither of our patents taught us about money and we want her to be a wise woman with her money before she graduates high school and is on her own. I am so excited about this book, and everything that goes along with it! Like Dave and Rachel say, “more is caught than taught,” so I think one of the best ways to teach kids about money is just to model responsible financial behaviors, explaining your decisions whenever possible. I’ve set up banks for giving and savings to make it easy and a habit for them to put part of their allowance and birthday money. I also try to speak honestly with them about mistakes we have made in the past. Nice tips! Children must have an idea on spending money properly and saving them. It can be a great help for their future. Thanks for sharing these tips. This is such a great post and the book/prize looks like such a great resource! Our boys are just two and four, so we’re just introducing them to some of the basic concepts. We currently live in Rwanda, so the money is completely different, but right now we are focusing on giving, and so we have our boys put the money in the offering each week. They have to physically get up and walk it to the back of the church to do it, so they love being able to participate. My children are grown and have families of their own. My goals with my grand-daughters are to model contentment for what I have and to talk about money and when I do, it is from the standpoint of give, save, spend. I have to say, contentment for what I have is often the hardest part! I like to teach my kids the concept of “when it’s gone it’s gone” by planning something fun (like a Dollar Tree trip) and then if they beg for sonic happy hour I say “OK. But if I spend $1 on drinks then we cannot get something from Dollar Tree.” My kids love sonic but will almost always pick a toy if they have to choose between the two. I love Dave and I met Rachel at a Legacy Journey event here in Tulsa that I volunteered for. They are an amazing family. Teach in our kids- 8yo and a 6yo about money is challenging. One thing we do is if there is something they want and it’s not around any holidays they have to work for it and weigh the choices they have. We struggle with this when there are grandparents that just give willy nilly – we were at Disney World and had children begging and whining for all of the hoopla and rather than focusing on the wonderful gift of being at Disney we were listening to entitled little boys expecting all the toys all the time… Trying to share our philosophy with our parents is not easy! We also struggle with the idea of getting paid for chores in the house when we should all be contributing to household care without compensation… It’s a fine line. Teaching my kids about finances is fun and challenging. They do chores and divide there earnings just like I do. It has been a challenge and a blessing. Our boys are 2 and 3 months and I hope to learn more to teach them as I’m just starting to implement trying to pay down our debt. We only buy what we can afford. And that we don’t buy things to make us happy. We are just beginning our journey with Dave Ramsey and FPU Jr. Up until now we haven’t done a very good job teaching our kids the value of money. Right now, we are working on work=money…I am so thankful to be starting our kids out on a better financial path. Thanks! One way I teach my kids about money is to make them review their decisions before they make a purchase. We talk about what they have been saving for, if there is something coming up that they may want to do/buy and if they need to save some of theirs funds for these things. I want them to learn to spend their money wisely and not to just be in the moment of instrant gratification and then later buyer’s remorse. My family was not very good about teaching money and I learned the quick and hard way. My husband’s family was even worse, I’ve been having to give him a crash course in our marriage. Our children are still too young to understand money in any way, but my son immediately takes any coins he finds to his giant crayon bank–so hopefully he’ll start to learn saving is good. I have plans to teach him as he gets a better understanding of money and numbers to take tithing and savings out of everything he “earns” or receives. This prize would really help me know the best ways to prepare my children so they don’t have to learn the painful way. We have 3 children, ages 37, 30 and 23, so our nest is now empty. We have learned so much in our many years of marriage and raising family to this “empty nest” point. With each successive child, as we ourselves learned to do better, we did a better job of teaching them God’s plan for handling money, with the first one not getting much and the youngest getting quite a bit. We do see the evidence in each of their lives of what they were and were not taught. Now we have 4 grandsons and are looking for ways we as grandparents can help their parents give them a better foundation than we gave each of them, but while still respecting those boundaries (no parent appreciates even sound advice from the grandparents when it is unsolicited.) Biggest thing, first fruits are God’s and nothing has changed our financial life more than putting Him first. I do my best to pay cash so my daughters can visually see it and help count. When they ask for something I can also show them that I do not have money (cash) available for their desired item. The nights when I leave for work, they always ask if I have to and I remind them that my job is how we afford all the nice things we have and are fortunate to do. We donate all of our old clothes and toys. They still have very little concept of saving so I had to take away allowances bc they’d only buy junk. We are now working torwards saving for bigger items while I hold the money. My kids are still pretty young. One thing I do to help my 5 year old learn about money is by giving her opportunity to earn it. I also try to be honest about being wise with my money. I’m her biggest example I must practice what I preach. My oldest is only 7, but all my kids earn money for chores, and I allow them to spend it on what they want from the dollar store and I encourage them to use it for gifts for others. Our older kids are going through FPU with us right now. Our little guys have been earning money each week by doing chores for their grandparents and saving it–the two youngest are saving $1 a week and the next one up is saving $2 a week. I was so excited to hear about the FPU Jr during one of the classes and am hoping to be able to train all of my children using the wisdom Dave and Rachel have to share. What an exciting contest!!! I need to win a prize pack like this because my own parents never talked about money so I am not sure how to lay that groundwork for my kids. It’s so important to teach our children about financial responsibility from early on. This is great info to have. Great post. I teach relative vaue to my children by comparing similar items that they like. DID YOU KNOW that one ANKI Drive costs the same as getting 4,000 pitches at the batting cages? We have a chore chart and each child checks off chores that they can be paid for at the end of the week. Once they get paid, we set aside money for church offering from there. It takes a long time to save up for things and they love the feeling of earning things. I think it’s important to teach kids about interest and investments, so they begin to understand that WHERE they save their money is just as important as saving in the first place. The concepts of stocks, mutual funds, real estate are all things that, if exposed to at an early age, can be internalized by kids well before adulthood. We have always taught our girls to save a part of any money they are given or work for. It’s so important to get into that habit at a young age so when they are older and paying their own bills and making their own living, that habit will stick and they will always have something to fall back on. I resist the urge to hand over pocket money willy nilly to the young ones. If it’s constantly coming at them they never know what to do when it stops. My children learn about money by having their own accounts. If they want something, they have to use their money for it. My girls are 3 and 5 so we have just started thinking about allowance (and tooth fairy money, etc). We have talked a lot about why daddy goes to work every day and why we can’t buy anything we want. 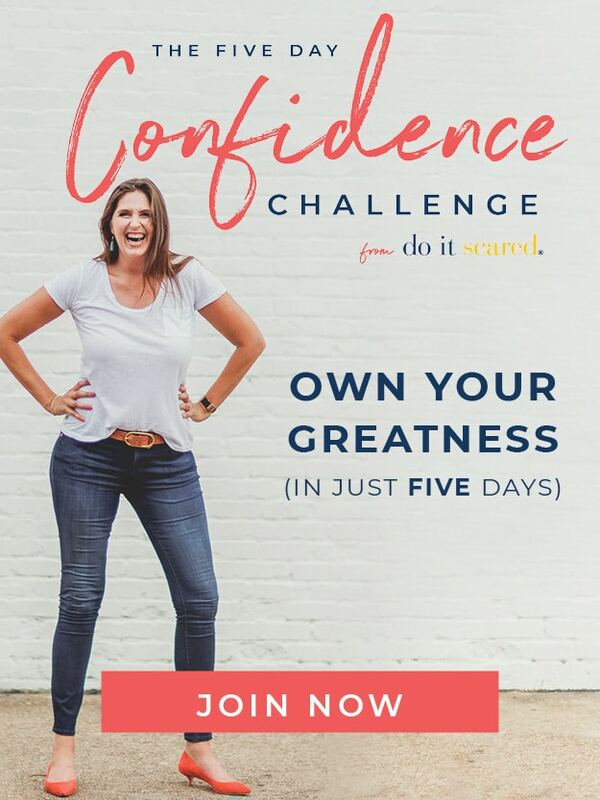 My husband and I are doing the total money makeover by Dave Ramsey and would love to be more intentional and thoughtful about how we train our kids with money, this giveaway is awesome! I think the delayed gratification aspect is the biggest one. The impulse of wanting everything right now is hard. My 2 year old has been longing for a dollhouse she saw in a catalog since about 4 days after Christmas. She asks for it every single day. We had told her that she might get it for her birthday and she has to learn to be patient for some things. It will be so much fun to see her excitement when the dollhouse materializes in June!! One way that we have taught our children about money is to work for it and always save a portion of that money. Always give yourself something to fall back on. We have struggled in this area. We are trying to adopt a less is more and pay cash system. My son is very young and doesn’t know what money is but he does know when he has things he likes and wants. When we go to the store and he sees a toy (usually a ball), if he asks nicely to see it he can hold it and play with it in the store. Then it’s time to say “bye-bye” he has no problem putting it back on the shelf or to a worker and will wave happily away. If he is giving it up it’s no big deal. If I take it away however then there is usually a tantrum. I think that is an important lesson in accountability and being independent. He loves to help and do things around the house and I encourage him to do his part. He picks up his own toys and helps to clean up any messes he makes. He has jobs to help walk the dog and feed him. He is only two but is so proud of himself when he finishes his jobs :). My oldest son is 5, and I admit that we haven’t done too well in this area. We teach him about money by going to yard sales and he budgets his amount, but he hasn’t started earning. Any gifted money goes into his piggy bank. This is just what we need to get started! I have been trying to teach my kids that money comes from work. But since they don’t work outside the home, we give them their chores to do … the ones that they are responsible for every week. Then if they want extra cash, there are extra chores that they can do to earn money. I have hoped that it will teach them that with hard work, comes the satisfaction of being able to save for something you want. I try to teach my kids about money by having a chore chart. Each item is worth money. If they don’t do it, they don’t get it. If they do extra, however, they can earn back. I’m still working on the process. It’s not easy, and one of my twins has no concept of money, no matter what I do. But I continue to keep at it! We are just starting the doing extra chores to earn money. One of my boys seems very motivated by money so I’d love to get him started right with saving giving and spending. Thanks! My oldest is only 2, and so far my husband and I haven’t done any financial education with him. I would LOVE to win this giveaway to get us started off on the right foot! We are about to have our first child (due in less than a month) but we are already gearing up to raise her “money smart.” This prize giveaway would help us begin the journey teaching her on the right path! My daughters (5 & 8) get paid every week for doing certain chores. They can earn more by doing extra things or “pay” for more tv or iPad time. They also have to save up to buy toys because we don’t really buy them any unless it’s a special day. Often when my teenaged daughter wants something that costs more than is in my budget, I pay half and she pays half. What I have found is that when she is purchasing with her own money she takes the time to evaluate whether it is something she really wants or not. We teach our kids to give back to the Lord first. Then to save and let them choose how they spend the rest. I haven’t done very well with this other than explaining that money comes from work.on a daily basis. Money is probably the biggest source of frustration in my house, we’re working on that now. We taught our children the three envelope theory. They are all grown now and are very resourceful by shopping with coupons, thrift stores and having small credit on their credit cards for emergencys only. This is an area we’re really struggling with. Partly because my husband and I had very little training in financial literacy when we were kids. I can see we would also get a lot out of the books ourselves. So we’re on the journey alongside our 3 children! One thing we are implementing is helping our son, who is 13, to save to pay 50% of his school trip next year to Thailand. It involves assisting him to start a small enterprise offering cleaning services using a pressure hose. Not only are we teaching him to save, but also to run and market a small business. We’re teaching them if they want something, they need to work for it. Whether its saving for vacation or for a book, you have to save not slave. My kids are little (almost 6, almost 3, 8 months,) but we’re teaching them that you have to earn the things you want. I am definitely going to try the system that you mentioned for chores. Great ideas!! One thing I have always done with kids when we are looking at toys or things in the store, I DO use the phrase “That is too expensive.” And they get it – they would just put it down and look for something else. We are trying to link money and work here. My boys don’t get allowances, but they will get paid for helping with chores. I would like to teach him that you should always save a some every paycheck. No matter how little you think you can afford to save, put a little bit away. It will add up! My daughter is four and we give her a quarter for extra chores that are not on her responsibility chart. My six year old son just paid for half of his new bike by earning a quarter per chore and selling old toys and clothes to a consignment shop. He was so proud of himself. I hope it helps him feel more responsible for his bike. I give my son who is 8 a flat $8 in allowance, he has thing he is supposed to complete, but he isn’t consistent. Unfortunately I am not very consistent at giving him his $8 per week, I don’t always have it to give, I am a single mom and money can be super tight. I like this post I really need to get more consistent and change the way I do this, to really teach, I so don’t want him to do what I have done! We have some daily chore our kids do, along with extras, for them to earn a small weekly amount. Wow, what an amazing giveaway! We do have a giving / saving / spending kind of system, but it’s nit real rigorous. I’m sure we could do much better, and would love to learn from him for our household money management, too! We have an almost 4yo son and a 10wk old daughter and we haven’t really gone into money much with our son yet. One thing I try to remind him of is waste and how if he wastes the things he has (such as food), we have to buy more food and this means we cant use our money to do fun things, like go on holidays. We are also reminding him that if he ruins a toy or book etc that’s we can’t just go and buy a new one – this is teaching him to respect his belongings. Finally, we have also tried to teach him that we are blessed to have what we do (like a house, car, food etc) because there are lots of people who dont have these things, and we talk about ways to help them (for example, we put together some boxes for the Samaritan’s Purse “operation Christmas child”). Our oldest child just turned three so we haven’t taught much about money but are planning to start soon. Excited about Dave’s new book! Saving for larger purchases they want but we don’t see as necessities. My little ones are newborn and 2, so the concept isn’t really one they can grasp yet, but making sure I instill the fact that we can’t get everything that we like (for a number of reasons, one being money). Delayed gratification goes a long way in staying on track with money! While I think it’s great to teach kids not to use credit for instant gratification, I also think it’s important to teach them how to use credit wisely, because they will have to use it someday. Having no credit when you want to buy a car or house is almost as bad as having a terrible credit score. I think the focus should be that credit isn’t evil, it’s just another tool. The way my parents did this was helping me get a student credit card through our credit union when I started college. Since I was going to have to buy books, whether I had the money available or not, I purchased them on credit and paid them off, on time, over the next few months. Small things like this help build your credit for when you want to make a much larger purchase. I love this idea!! I can’t wait to read his book. Right now I use the pebble jar system where each of the kids receive pebbles daily for chores that they do, but I like the idea of receiving money at the end of every week. It usually takes about a month for them to fill their pebble jars, so I like the idea of weekly payouts. My hardest part has always been figuring out what each chore should be worth! Thank you for this great article and resources! This is just what my husband and I are looking for. We’ve been struggling with how best to teach our nine year-old son about money. We’ve done a few basics, but weren’t sure of the next direction to take. As a child I learned all about saving and giving but not how to managed money and got myself into trouble. Thankfully I was able to get myself out and stay out for several years now, and I’d like to make sure our kids have all the skills they need to be successful with their money. I’m sharing this with my mom and my sisters. I don’t have any kids of my own. 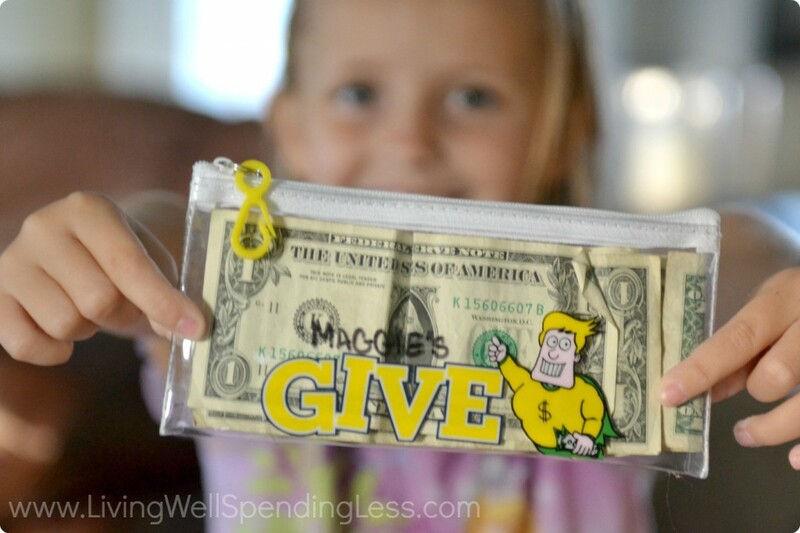 I love this article and the give envelope idea is fantastic. Thank you!